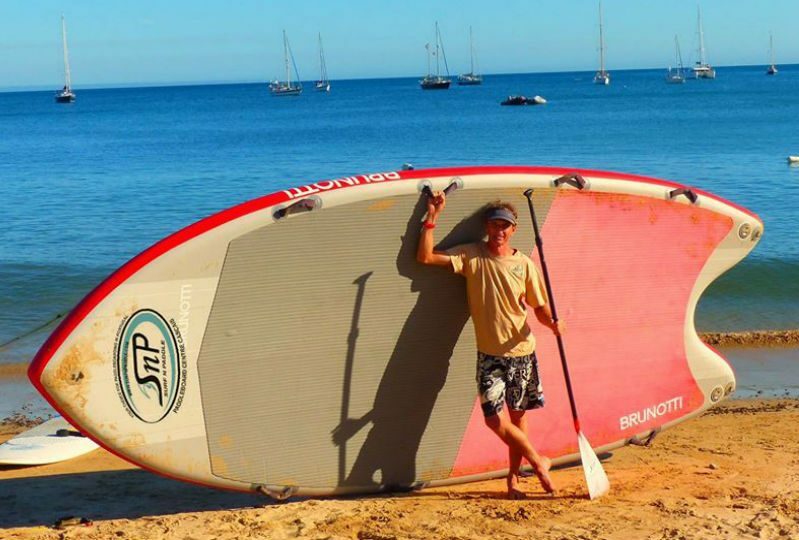 What will we be doing on the Mega Paddle Cascais? 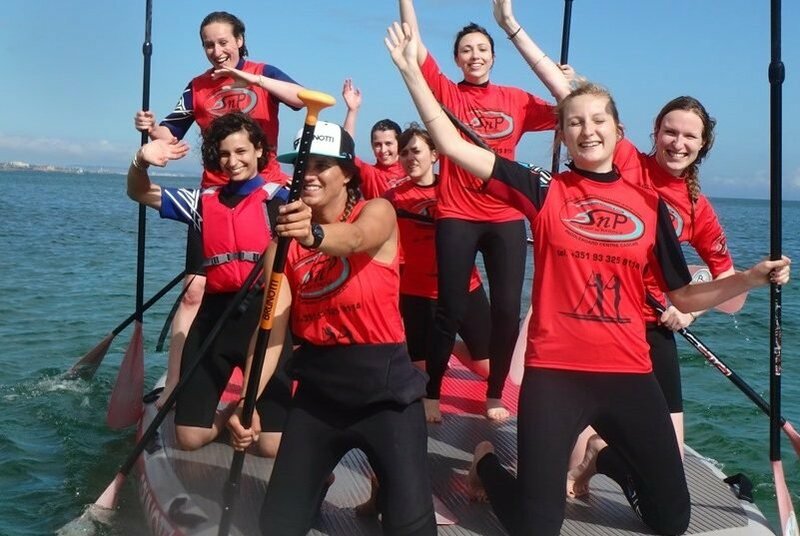 The Mega Paddle Cascais is a great for all parties and group events. It’s not only fun getting to see everyone work together it is also GUARANTEED to elicit MEGA laughs. 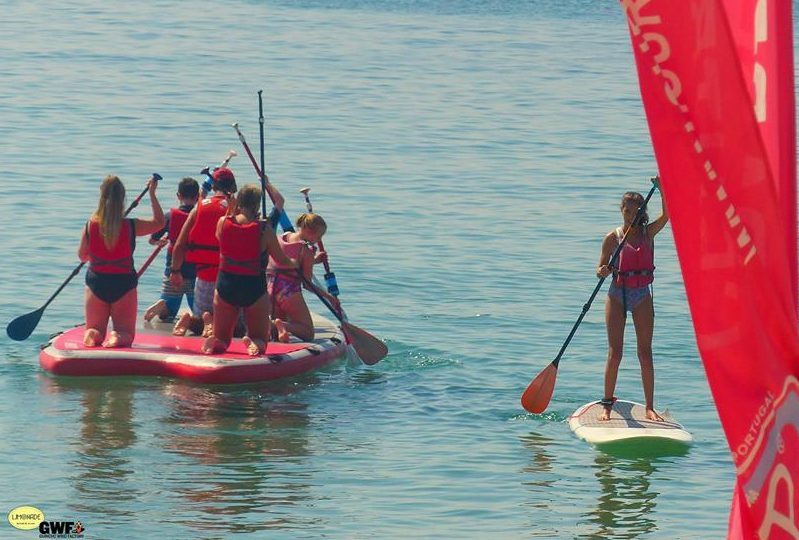 The Mega Paddle Cascais is like having a party with sun, sea and paddles. Mega SUP holds up to 10 people. 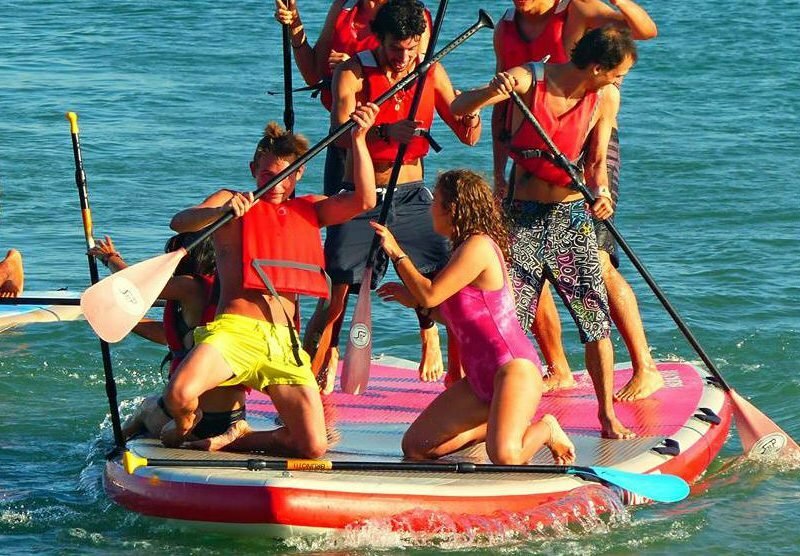 Mega Paddle Cascais is great for birthdays hen or stag doos, team building activities or simply with your mates … it’s even great as a sunbathing deck. 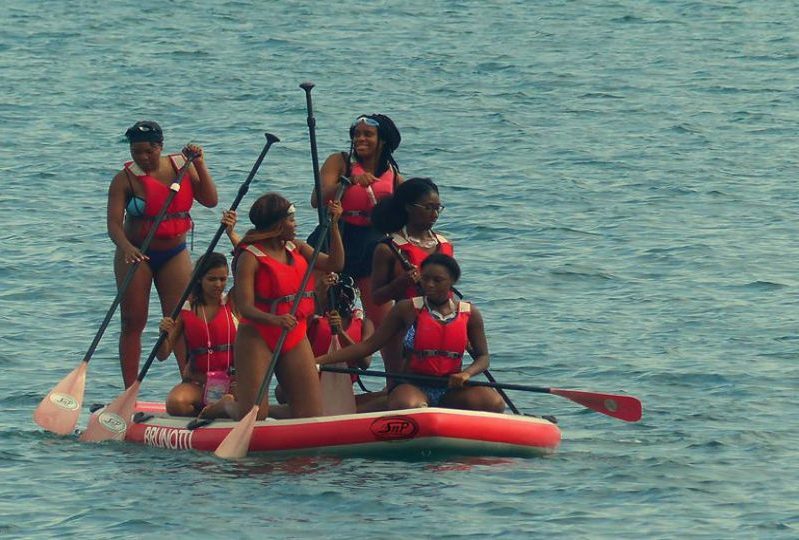 Everyone together paddling at the same time. Guaranteed fun ! By Train: Travel from Lisbon Cais Do Sodre train station to Cascais, the journey is around 40 minutes and costs around 3.60 euros.